Union Minister Ananth Kumar on 29 July said Congress is loosing its space in the country as people don't want to continue with dynasty politics. He also asserted that countrymen are accepting Prime Minister Narendra Modi's development politics. 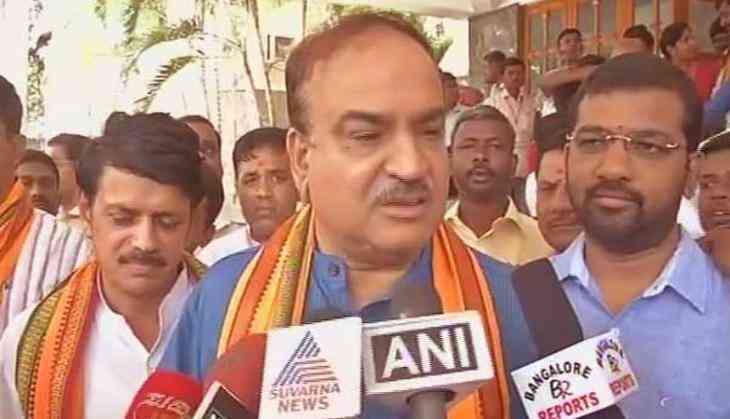 Talking to media here, Ananth Kumar told said, "Throughout country there is a polarisation, people are accepting Prime Minister Modi's development politics and they are fed up of Congress' family politics.They don't want to continue with one family politics of Congress party. Stating that Congress is withering away from the country, Parliamentary Affairs Minister further added their countdown in the whole country, including Gujarat, Himachal, Karnataka, has started. The statement came after at least six Congress MLAs in Gujarat resigned from the party to join the BJP.